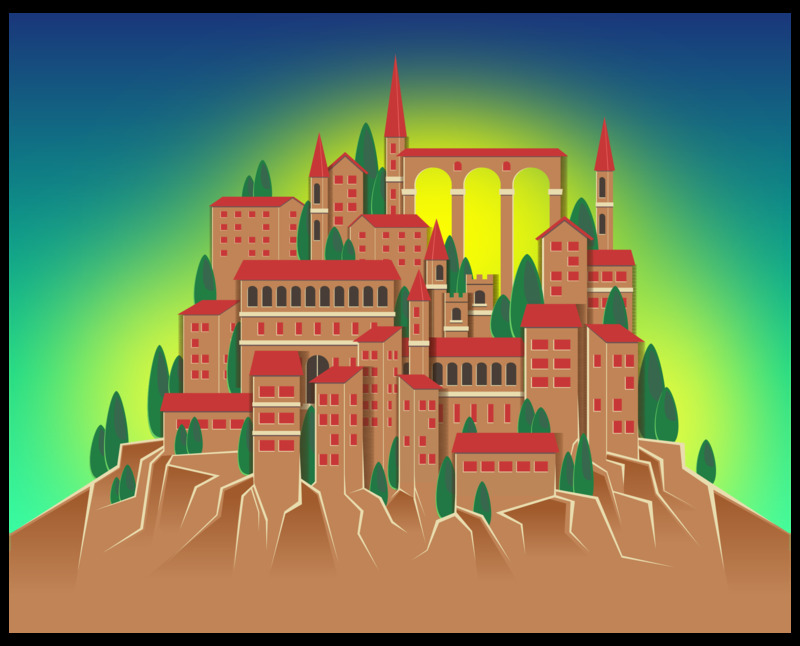 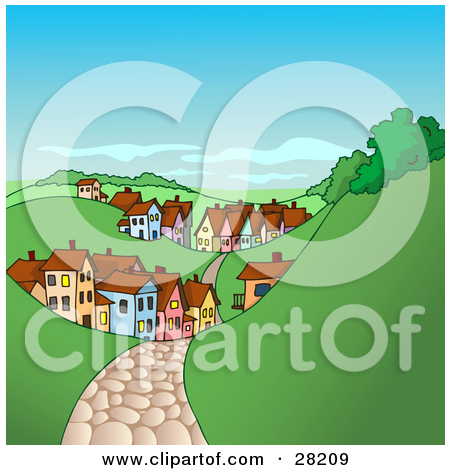 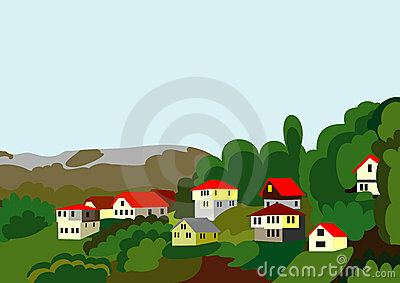 Mountain village: Sunny summer landscape with village. 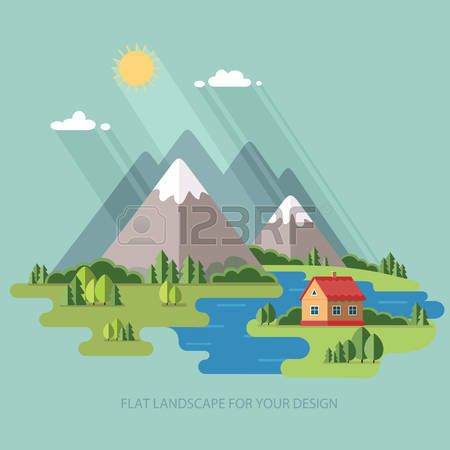 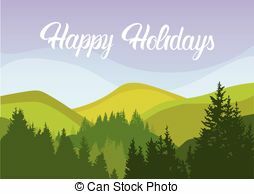 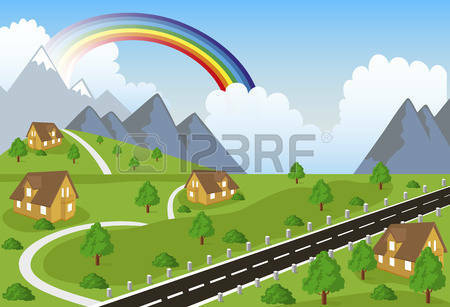 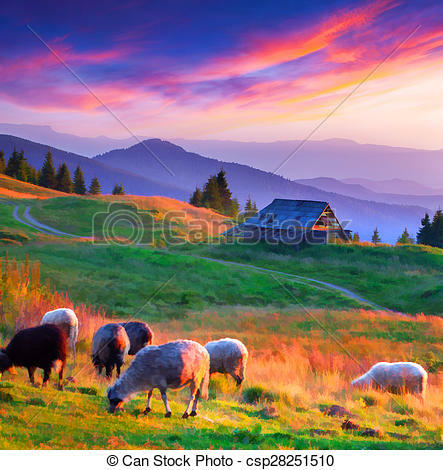 Happy Holiday Summer Landscape Mountain Forest Sky Woods. 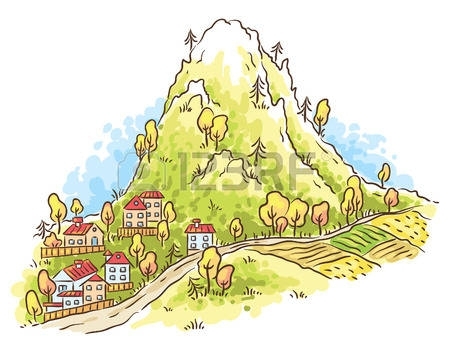 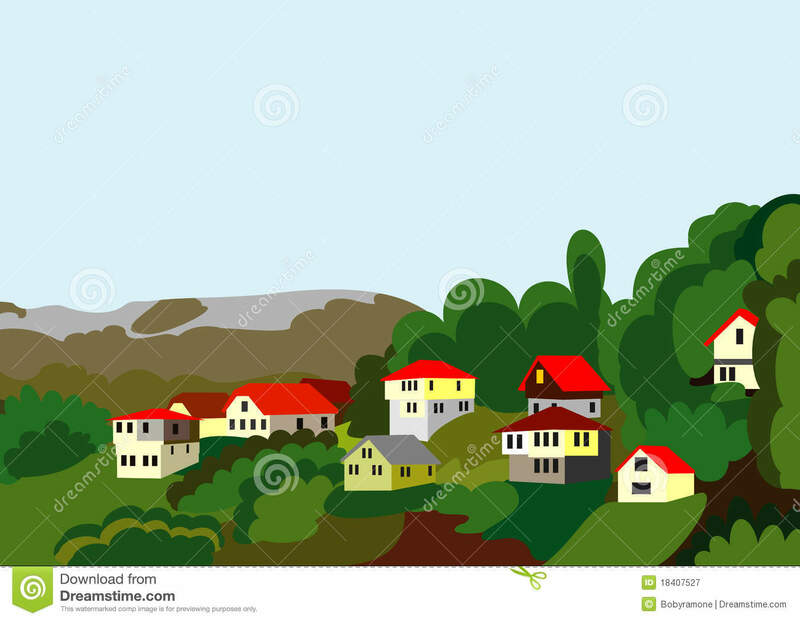 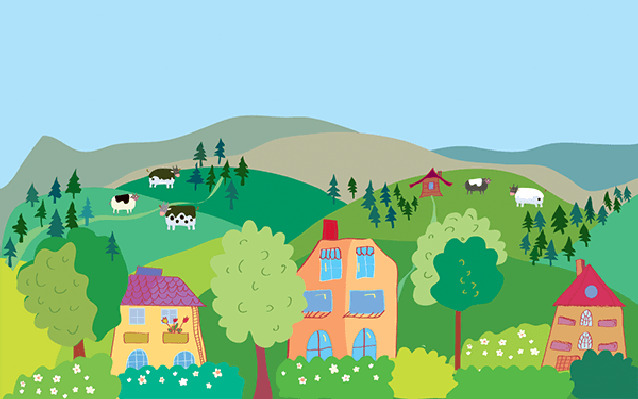 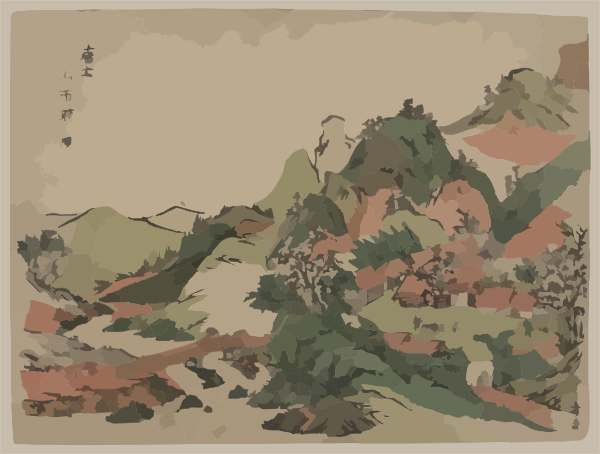 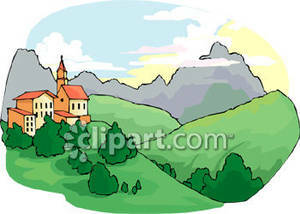 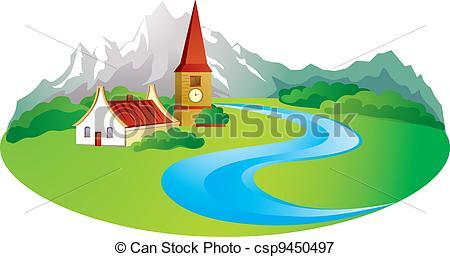 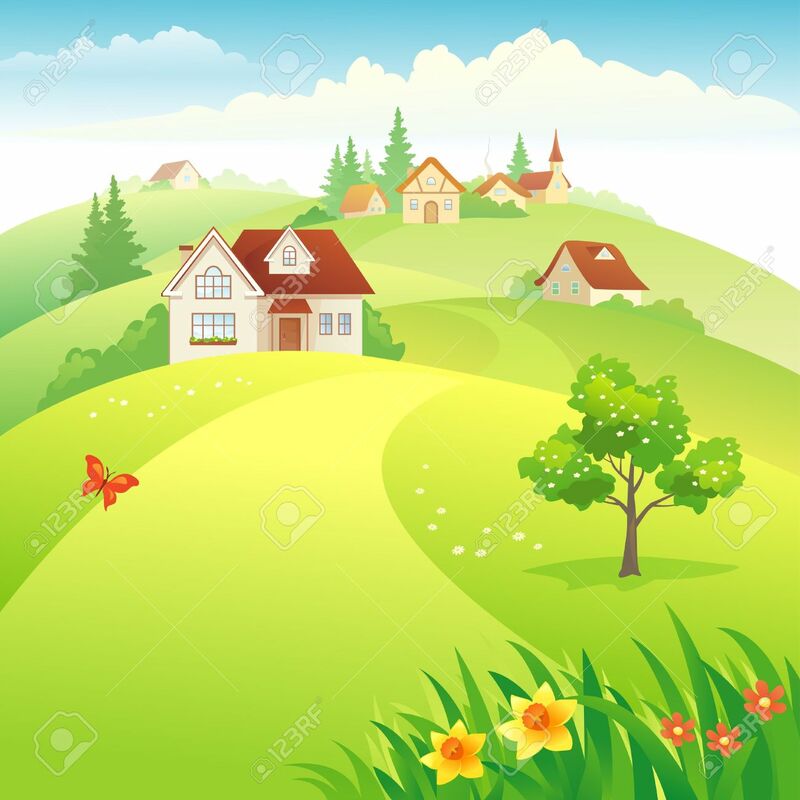 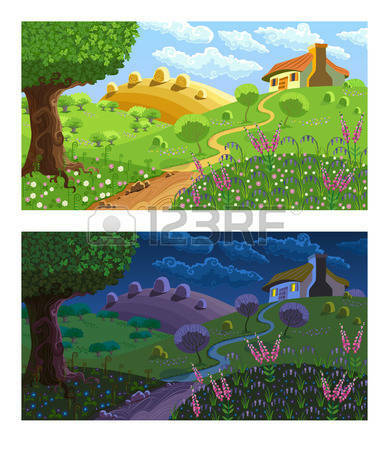 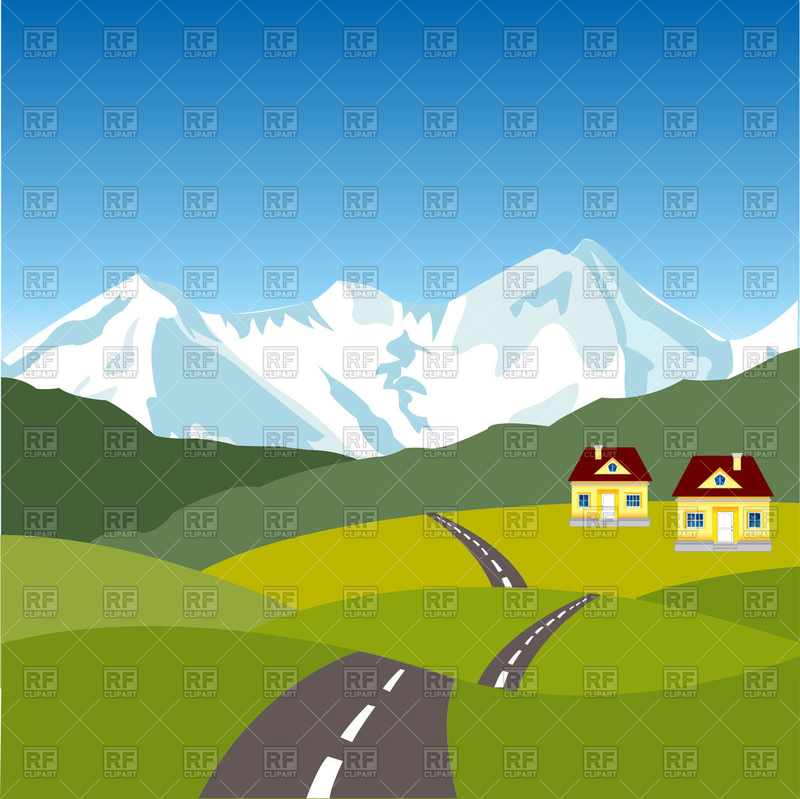 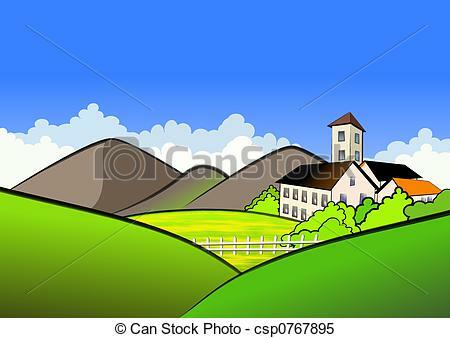 Village In Mountains - Small village and farm in mountains. 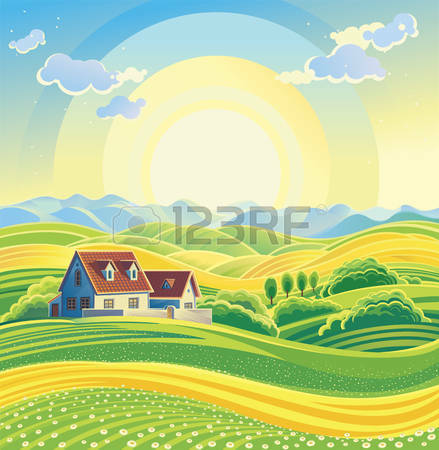 V.24.1.7 Page loaded in 0.00534 seconds.